Villa Gabrisa Positano - Rooms - Nine luxury guest rooms overlooking the sea at our highly rated 4 star hotel on the Amalfi Coast. The 4 star Villa Gabrisa Hotel is one of the most highly rated hotels in the delightful Amalfi Coast town of Positano by independent travellers, yet we’re modest in size with only nine guest rooms spread over three floors. We believe it’s our personal attention to detail, homely atmosphere and incorrigible dedication to quality hospitality that has earned us this valued reputation! A truly unique luxury 4 star villa hotel along the Amalfi coast, Campania’s finest coastal drive and one of the most enchanting, romantic and breathtaking places in Italy, after staying at the 4 star Villa Gabrisa Positano it will be difficult to return to ordinary life! From the elegance of the hotel itself to the tasteful decoration of the rooms, the high level of service offered by the staff and the services available to the Villa Gabrisa Positano guests, everything oozes luxury. The unique mix of the luxurious, the classic and the modern makes this the hotel of choice on any visit to the Amalfi Coast. Our rooms are divided into three types - standard, on the third floor, and deluxe and suites on the first. All rooms are elegantly designed in a classic Mediterranean style and come complete with en suite bathroom, mini bar and sea view. Deluxe rooms have a separated living area and two out of the three have a large terrace (subject to availability). Our suites are larger again and two of the three have a kitchen area. 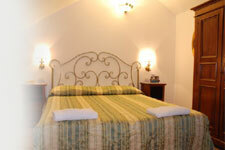 All rooms are ideally designed for two people though a third bed can be added for a supplement.